High, muddy. 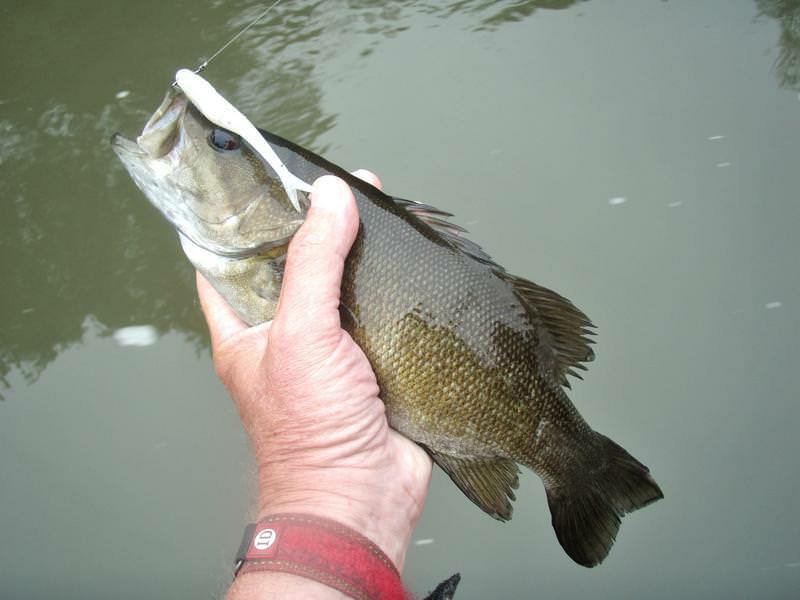 fast water and full moon have the smallmouth confused. Makes my job tough. But this little 13" beauty hit one of my river darters. 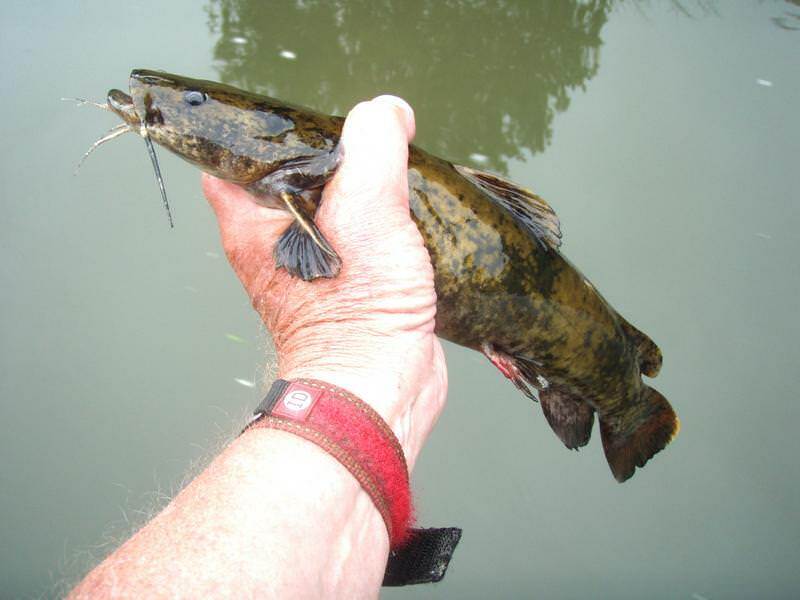 This is a flathead catfish. At least 10 miles from the confluence with the Susquehanna and not that far from the trout waters of this wonderful trib. 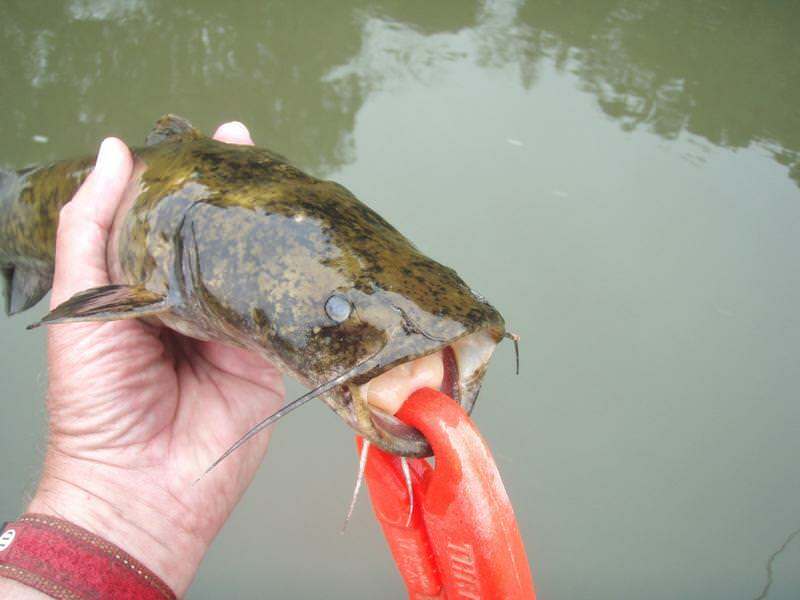 That's a nice little cat fish. My son wants to go catch a snake head, I don't think there are any near Harrisburg, looks like Philly is the closest. This is my second flathead. The other was an 8-10 pounder that hit a tube near Sunbury PA on the Susquehanna River. Snakeheads have been caught in the Delaware, Potomac and on the Susquehanna flats area. Those things are real invaders. I'm surprised too! that is their nature. I have read about chasing them in small steams and rivers, I didn't expect it until they had established in the river though. I don't suppose that you released it? ...I don't suppose that you released it? I don't eat any fish from PA waters. I do not believe that sport fishermen can put a dent in the population of any species by destroying the ones they catch. I believe nature will eventually work things out...even though man may sometimes shift the balance. Well I'm happy that you did. I think you have a rational assessment of the situation. Beautiful fish. Smallest one I have ever seen, prettier than the adults. Just an FYI, the river water level and color has been good since Sunday and the post spawn female bass are feeding heavly above the closure area. I can't figure out myself where all the chocolate milk is comming from on Penns Creek. You would think it has to turn green sometime soon. That's crazy!! Thanks for posting! Flatties have been our go to fish this time of the year on the Juni. They have been a pleasant bonus plus they are great eating. The bigger the fish the better they taste.